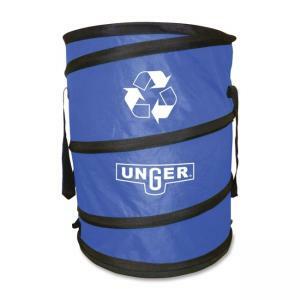 Collapsible trash bag with chasing arrows recycling logo makes the perfect outdoor tool for gathering recycling. Rugged plastic bottom can be pulled over any surface, such as asphalt, cement, gravel or grass. Internal steel spring makes the bagger sturdy and rigid. Trash bag is made from tough, puncture-resistant, oxford cloth to protect workers from sharp objects inside. Ergonomic design includes long handles for the bag to be easily pulled from spot to spot and eliminates the need for bending and lifting. The NiftyNabber Bagger collapses making it easy to store. Tie-loops hold the bag in a closed position. 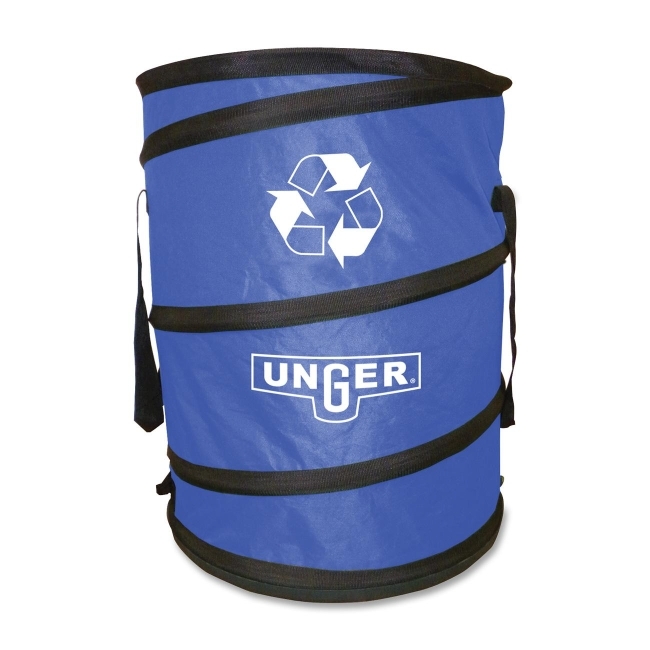 Bag holds 30 gallons and uses standard 55 gallon trash bags.